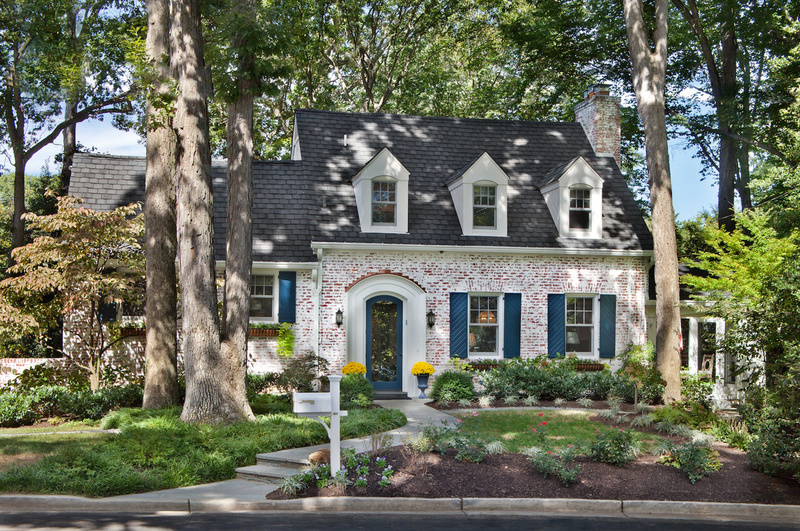 The architectural concept is defined by the interaction of the 1930s Cape Cod-style home with its environment. A three-story addition designed to establish a ‘tree-house effect’ in the back of the home takes advantage of the lot’s topography. 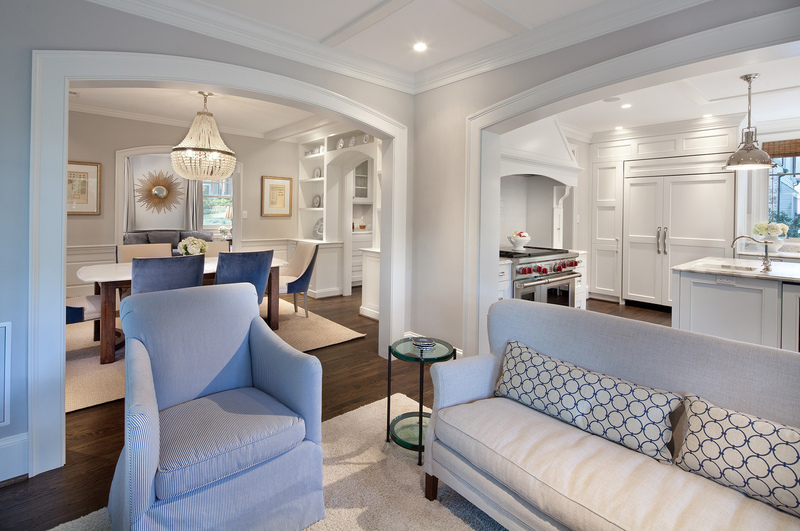 The open floor plan features elegant arched openings while casings, paneling, wainscoting and crown molding throughout the home create a sophisticated aesthetic. Playful design elements such as a loft in the children’s bedroom offers a whimsical retreat. The interior design was informed by the architecture; a calming color palette introduces shades of blue, khaki, and gray. A custom dining table and chairs upholstered in a dusty blue suede add sophistication; ‘top-down’ window treatments in the master bedroom allow for privacy while maintaining the view to the tree-tops. 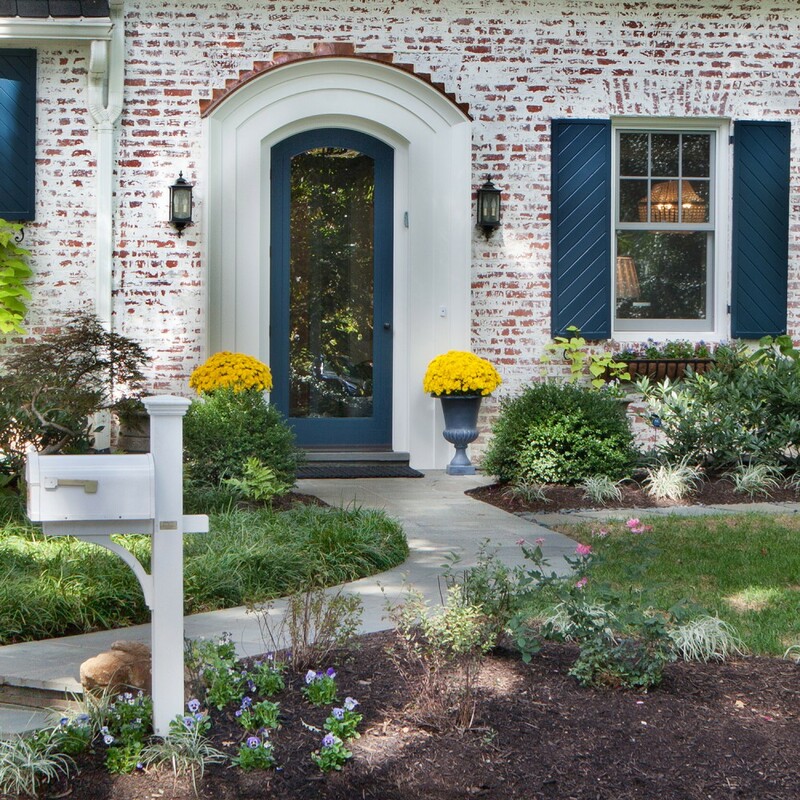 Shutters painted in a warm blue create subtle contrast against the charming white-washed brick, while copper flashing atop the arched front door add personality and curb appeal.